All Pictures from Pinterest, edited by me. This is another beauty trend that has caught my attention this season, and lately I've been playing around with some blue eyeliners in my make up routine and have to say that I love it! 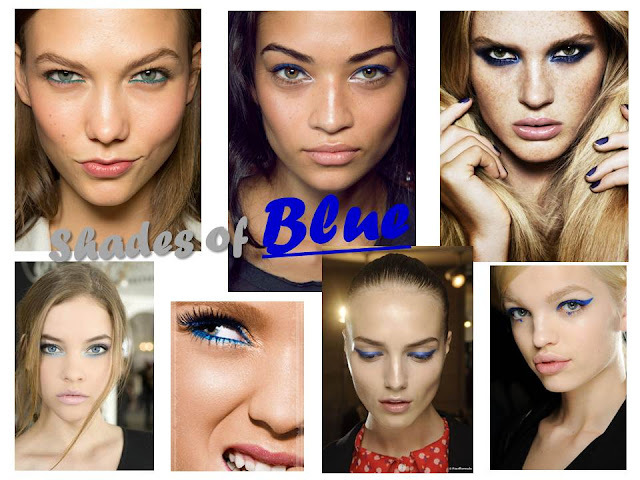 So let's incorporate some shades of blue this spring! Do you like this beauty trend?